WE KNOW LONGER BREED . 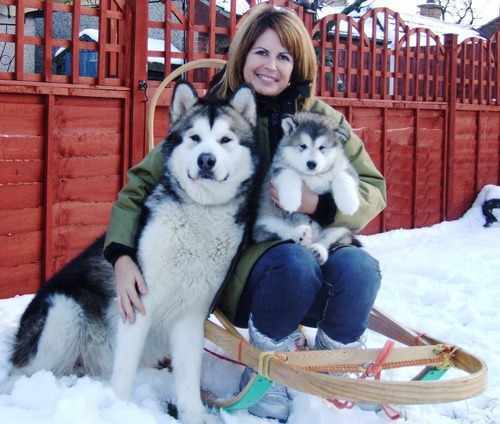 Polarpaws is a small working and showing kennel that is dedicated to the Alaskan Malamute and the Siberian Husky. We were first owned by 2 Alaskan Malamutes (Sasha & Casper) back in 1991, and since then we have added to our pack of Mal's and Sibe's. I will leave the statistcis out at the moment becasue the numbers vary from year to year. As you will see at first hand by viewing this site that if you are thinking of being owned by one of these breeds like so many of our friends you never end up with just the one dog..
Like many owners of these dogs we only intended to have one pet as a family member, however, it's a bit like owning a fomular 1 car and leaving it in the garage, eventually you want to take it our for a spin, and once you have, the last thing you want to do is put it back in the garage. Both the Alaskan Malamute and Siberian Husky are very special breeds, and need a lot of consideration before obtaining one, but once you have thought it through properly and decided this is the right breed for you, you will never want another breed. 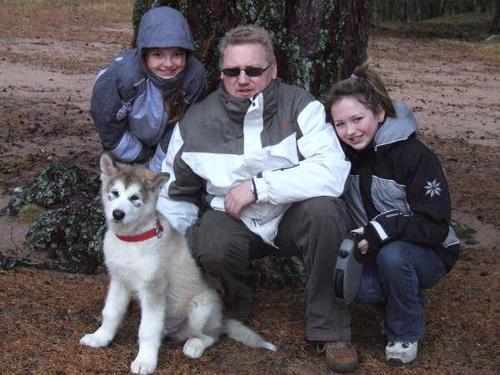 The Alaskan Malamute & Siberian Husky are truly beautiful dogs and have enhanced our friends and familys lives. If you don't have a hobbie as a family and are thinking of getting either breed there is so much you can do as a family. You can show the dogs, go backpacking, race the dogs, do obedience, agility & general Fun day outs.